Kaiser senior Toby Inouye is making a habit out of proving coach Peter Ho wrong. "I told him before the game that Waianae can pound the ball and they'd get at least two, maybe three, runs on us," Ho said. 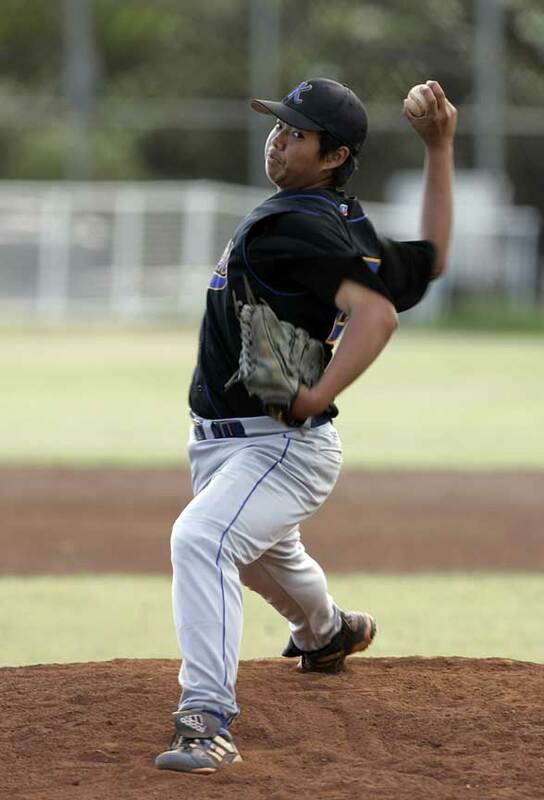 The senior right-hander paid little attention to his coach's words and instead tossed a two-hit shutout as the Cougars defeated the Seariders 1-0 yesterday in the opening round of the Oahu Interscholastic Association playoffs at Kaiser. Mason Masaki scored the lone run of the game on a wild pitch in the bottom of the sixth inning. It was all Inouye needed. The Cougars' ace needed just 67 pitches to strike out seven batters over seven innings in a game that lasted just 1 hour, 20 minutes. "He was just the man out there," Ho said. "I had no clue he would be able to shut these guys out." 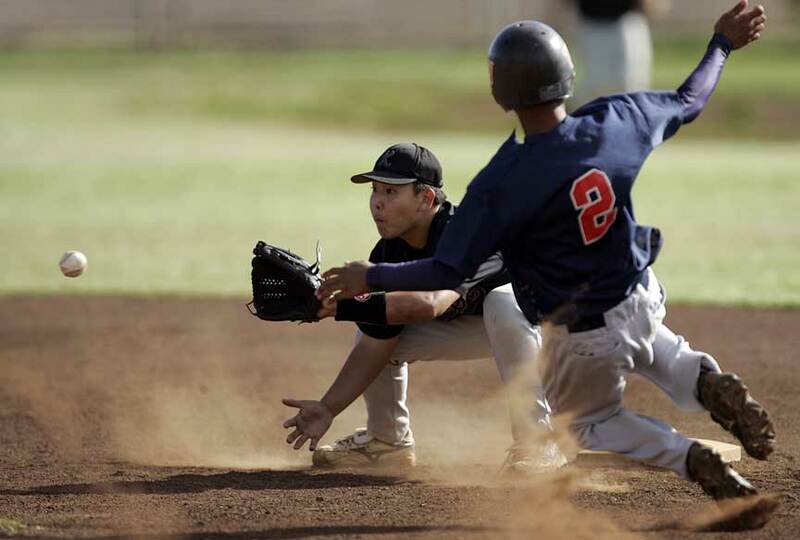 Waianae never had a runner advance past second base as Inouye faced just one batter over the minimum for a seven-inning game. The two hits by Waianae came with no outs, but in both cases, Inouye came back to strike out the next batter. "I was able to get a lot of first-pitch strikes," Inouye said. "That kept them off balance and I was able to mix in all my pitches." Inouye's performance overshadowed a tremendous start from Waianae sophomore Bud Pickering. The left-hander matched Inouye through five innings, allowing just one hit, and was on his way toward another scoreless inning in the sixth when Joe Honma smacked a ground-rule double to left with two outs. Pickering then intentionally walked Inouye, who was batting cleanup, before giving up another base on balls to Bryce Marcouiller on four pitches to load the bases. The Surfriders then brought in Ben McQuown to face the right-handed Devin Dela Pena, and he worked to an 0-2 count before a wild pitch got away from catcher Aina Kalaola-Meyer, allowing pinch runner Masaki to score from third. "We had the righty coming up to bat and I thought (McQuown) could strike him out with breaking balls," Waianae coach Kekoa Kaluhiokalani said. "The game plan was nothing but curves, but we let one get away." It was all Inouye needed as he came back out in the seventh and struck out the final two batters of the game to advance the Cougars to a quarterfinal showdown with top-seeded Aiea out of the West tonight at 6:30. "Hopefully we can get right back out there and play a good game," Ho said. "Our bats need to come alive." The Cougars were without regular starting shortstop Cal Tashiro, who had his jersey stolen earlier in the day. He is expected to start tonight. Bud Pickering, Ben McQuown (6) and Aina Kalaola-Meyer. Toby Inouye and Bryce Marcouiller. W--Inouye. L--Pickering. Leading hitters--Wain: Will Duseigneur 1-3, 2b. Kais: Mike Ramia 1-2, 2b; Joe Honma 1-2, 2b.